This site rarely ever has guest posts, but I wanted to make an exception for a long time reader and SEO who often sends me tips and advice. Kasia Bauer, a search marketer from Poland, author of Magiczne SEO & SEM blog and co-owner of Divbi.com has written a guest post on Google AdWords scams in Poland. We hear about Google AdWords scams in the U.S. often enough, to the point where Google took action. In fact, just yesterday we reported how Google is getting stricter, but does this apply to outside the U.S.? What type of scams are occurring on Google there? So we have this guest post just on that topic. Recently, scam ads gained noticeable presence in Google AdWords across Central and Eastern Europe. 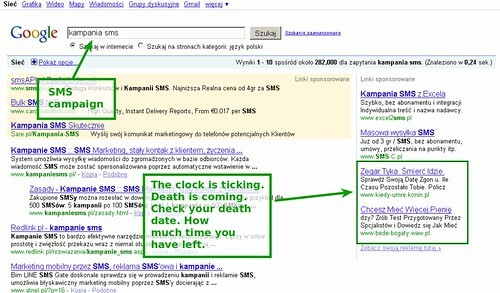 Polish AdWords is currently experiencing a wave of campaigns that are preying on naive users. It has been at least 11 months since we have noticed first suspicious ads appearing on Google Network. It looks like Google is doing very little, or even nothing, to prevent them from showing. Don't use phishing or other scamming tactics. Advertising is not permitted for sites collecting sensitive personal information or money with fake forms, false claims, or unauthorized use of Google Trademarks. Examples of personal information include email addresses, user names, passwords, and/or payment information. In addition, advertising is not permitted for 'run your car on water' programs or content. The most popular “service” is the ”find out when will you die” test. After clicking on one of the ads, user will find himself on a landing page, which asks to fill up a test in order to find out date of his death. It consists of about 20 ridiculous or often very personal questions. After finishing the test, user finds out that results are not free. He or she is presented with a prompt to pay for “the date of your death”. Sometimes the end pagesshow the information to send the money via SMS only. The cost of 1 text message is stated with very small font in the footer and is about 23 PLN (~$8.34). Some landing pages are formatted in a misleading way. The price for paying via credit card is enlarged and bolded, and so is the information “pay via SMS”. Such design suggests that the price of the SMS is the enlarged one. However, the real price is stated further below, again with small font. Polish Google representatives in Warsaw do not comment on the situation officially with anything else than “it is a really big problem”. This is hard to believe, since majority of those ads have similarities in their ad texts which could be flagged by a simple keyword filter. It is really disappointing to see how the leading ad network is not only being polluted this way, but also artificially increases CPC for legitimate advertisers. Whole situation makes one think that having 97%+ of local search market made Google less likely to act. 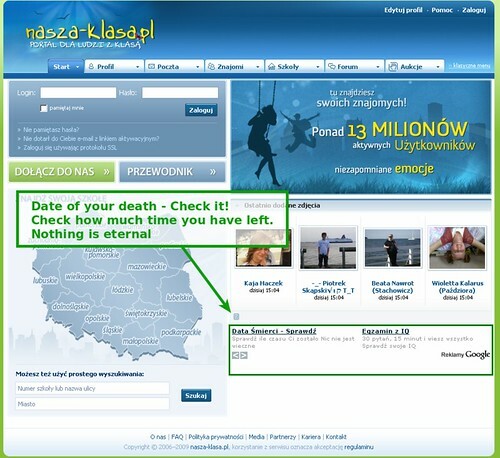 You can find more on this topic in my Polish blog post: Scam Ads in Poland. In classic Search Engine Roundtable style... Forum discussion at Google AdWords Help, Golden Line and Gazeta.pl Forum.